Whispering Bells or Emmenanthe penduliflora - this beautiful plant is a fire follower and in fact is one the most common plants you may have seen after a fire - Milt's book designates this plant a "dominant" fire follower". Whispering Bells is an annual that produces lots of flowers. The plant exudes a sticky liquid with a somewhat pleasant odor - according to Milt's book. 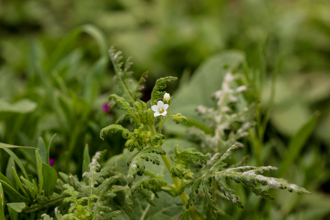 The plant comes up from a weedy-looking basal rosette of sharply lobed leaves. 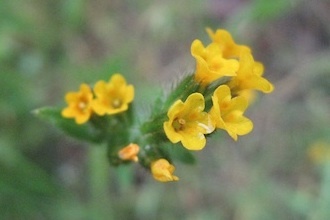 The leaves are green, alternate, narrow, and pinnately lobed with saw-toothed edges. 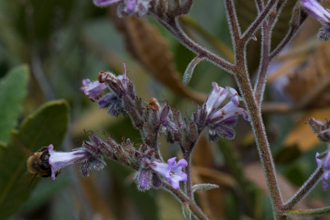 The stems and leaves are covered in glandular hairs. It produces long pendulous racemes with small yellow or pink bell-shaped flowers. When the flowers dry they become light and papery. 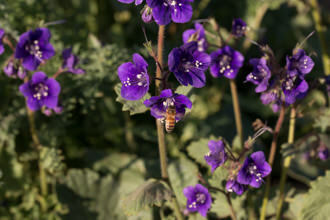 The dry hanging flowers make a rustling sound when a breeze comes through, giving the whispering bells its common name. 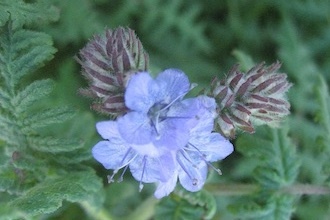 The dry flower also contains a fruit about a centimeter wide. 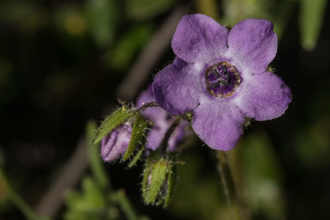 Some guides designate this plant as a member of the Boraginaceae family and some Hydrophylloideae (waterleaf) - read more. For my purposes it sufficient to know what the plant looks like and some facts about germination, life cycle and where you might find this plant. 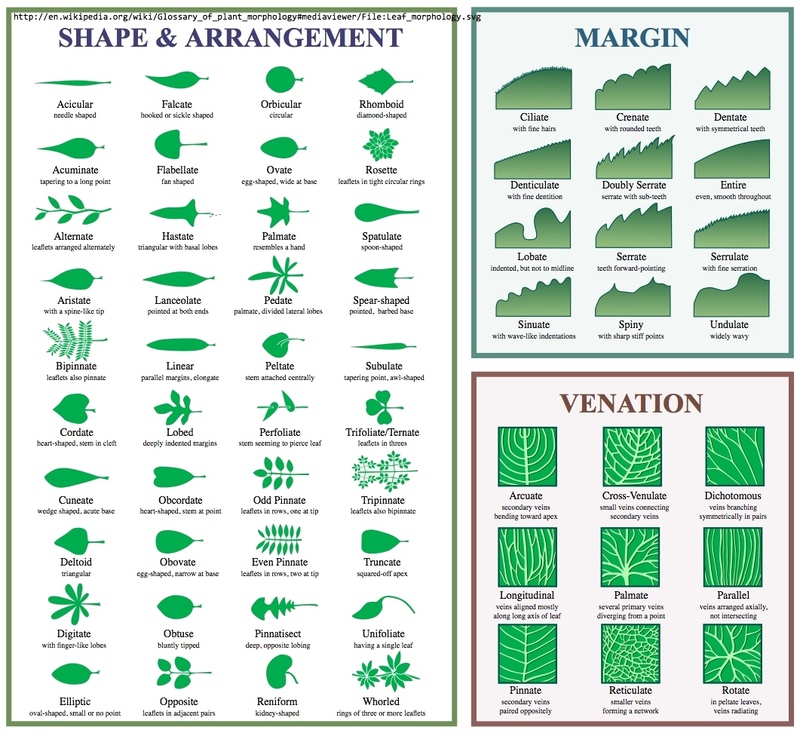 The Botanists will figure the taxonomy out right after you purchase that shiny new guide to wildflowers! 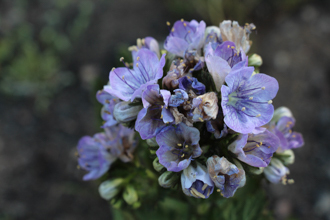 Personally, being able to identify the plants and flowers I encounter along the trails enriches my experience - it probably does for you as well - it is too bad there are not more people who are as interested. 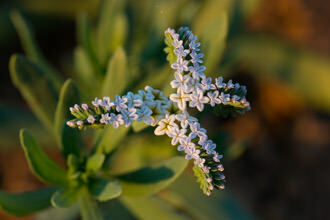 Origin of name: Calfora Web Site alludes to Greek for "flower that abides" - the flower does not fall off as it fades. Penduliflora suggests that the flower hangs down as it ages. Amazing descriptions in some of these flower names!(ref. 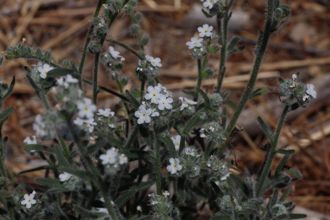 CalFlora Plant Name Origins). Last modified: March 31 2017 21:26:47.